An intricate design with very fine floral detail that takes a very long time to cut out because of the intricacy. Looks fabulous when lit and gives a 3d dimensional effect. You can replace the translucent diffuser with tissue paper or fabric to create your own customized designs. 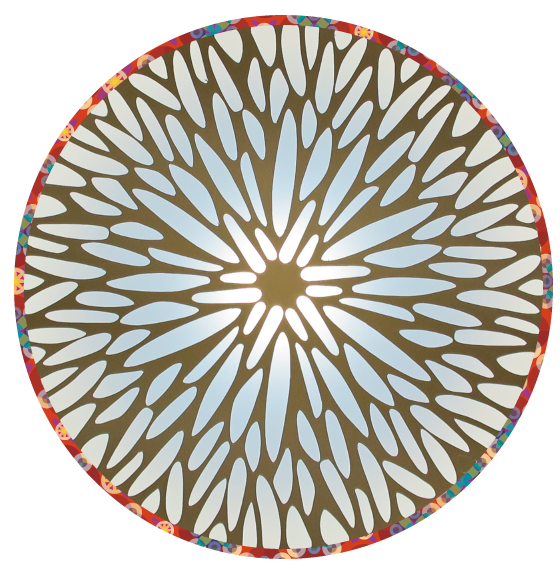 1 x 30cm Diameter White PVC 1000 micron thickness with Intricate Floral design. 1. Place the Floral diffuser in your lampshade first, it sits on the lip of the bottom ring.